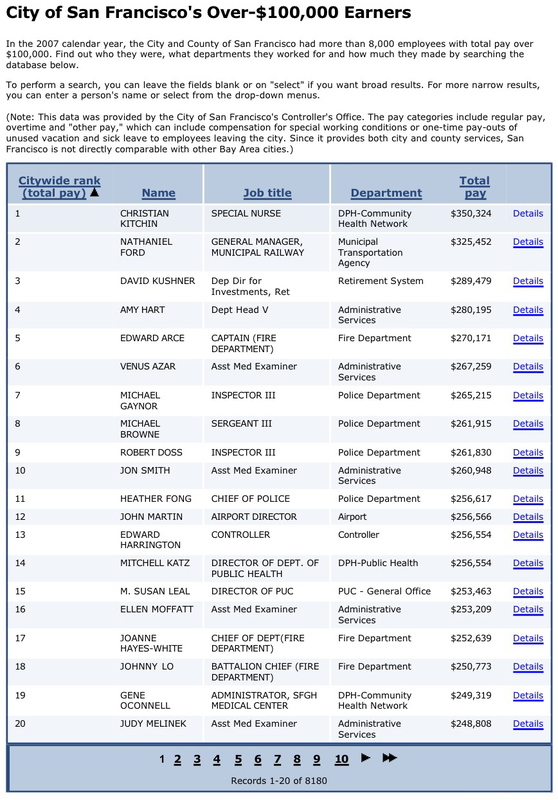 Top 20 salaries, that is. It pays to be a City employee. And how do I become a "Special Nurse"? Todd darling no matter how much it pays do you really want to be elbow deep in a bedpan. How well I recall my youth, Daddy took me on his knee and offered me the choice of two professions, he said I could either be a Jaded Lady or a Nurse, of course I picked Jaded Lady, the pay was better!